Reason for Reading: Titanic Week. The ultimate action/adventure trilogy begins, with #1 bestselling author Gordon Korman plunging readers into the heart of the Titanic. The Titanic is meant to be unsinkable, but as it begins its maiden voyage, there's plenty of danger waiting for four of its young passengers. Paddy is a stowaway, escaping a deadly past. Sophie's mother is delivered to the ship by police - after she and Sophie have been arrested. Juliana's father is an eccentric whose riches can barely hide his madness. And Alfie is hiding a secret that could get him kicked off the ship immediately. The lives of these four passengers will be forever linked with the fate of Titanic. And the farther they get from shore, the more the danger looms. . . . I have been glancing at this trilogy since it was released last year, but it took this week to get me to actually pick them up. Ana wants to talk about as much fiction as possible so she can link to the posts in the up-coming HT Recommends, so I thought this was a good way to read 3 books quickly. Plus, it is Gordon Korman and I have been reading him since I was a little kid. My biggest worry when it came to this trilogy, though, was that it wouldn't meet my expectations. I have read a lot about the Titanic at this point and this is geared to a younger audience. This is why when the books came out I just kept glancing at them and not rushing out to read them. 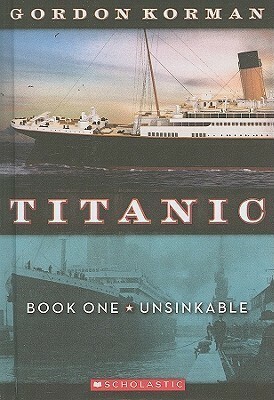 Now that I have read them, I have to say they were good, but better for those that know very little about the Titanic. They are adventure stories that even tie in Jack the Ripper, but they also contain small bits of information every so often about how things really played out on that fateful evening. 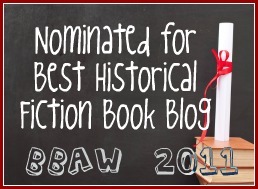 They also practice the idea of upstairs/downstairs, so younger readers get a taste of what it was long for the different classes in that period of history. I am not sure I would rush out and recommend the trilogy to adults, but I do think that younger readers have a wonderful treat in store for them. Gordon Korman was a favourite when I was younger, and I would have loved this trilogy at that time, and he has written the perfect introduction for those curious about the Titanic after all the hype surrounding the centennial. To sum up, I am glad that I read these, but I didn't love them. I read these earlier this year, and enjoyed them. Even though I'm a Titanic 'addict', I actually learned a lot about the events that night. I will have to look into these. Thank you!